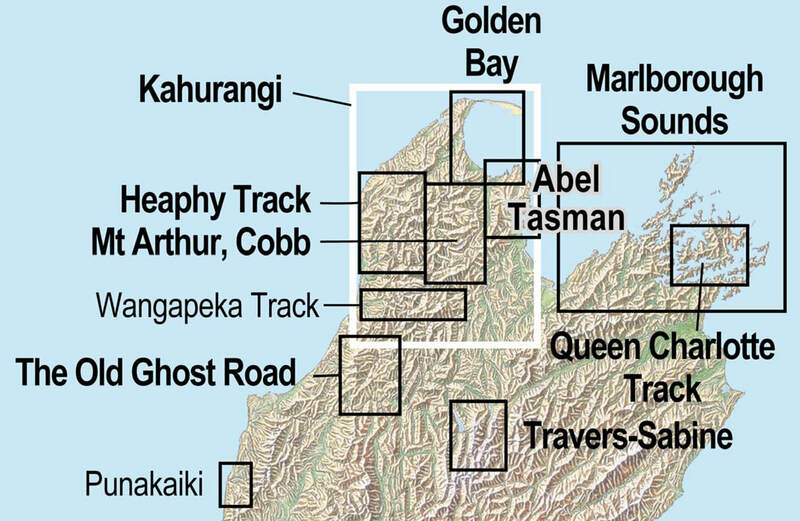 This new edition has been extended to the west and gives an overview of the whole Marlborough Sounds to assist planning and access. Major parks and reserves on land are now shown, as are marine reserves. As well as boating and sailing activities, the Marlborough Sounds offer many walking, camping and MTB opportunities. Not suitable for marine navigation. 100m contours. 10 minute geographic graticule.